The Baobhan Sith vampire is thought to be a female version of a Celtic vampire that inhabits the Scottish Highlands. 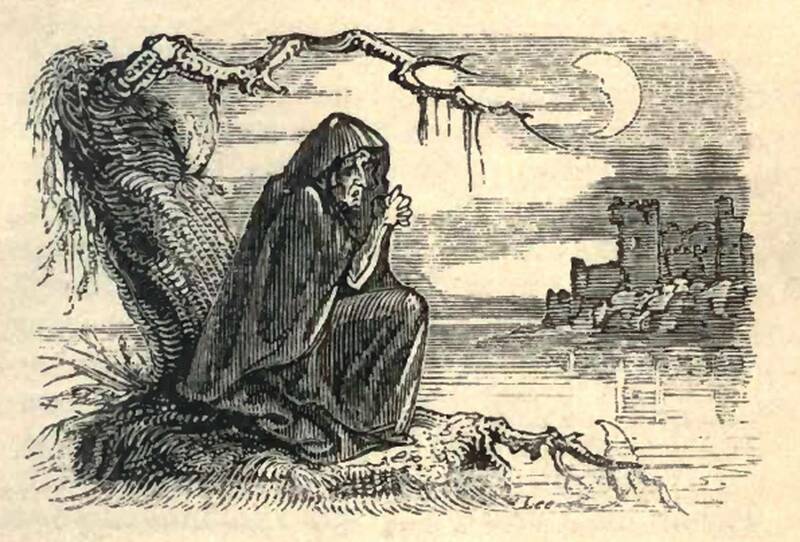 The name suggests a form of Banshee and it is known as being a very dangerous and evil creature. The glens and the mountains of the Scottish Highlands used to be it’s hunting ground where it preyed on unsuspecting travelers. The most popular incident stretches back many centuries now and involved a group of four friends who were on a hunting trip in one of the many glens in the area. Their hunt stretched on for a little longer than normal and they realized they would be caught out in the harsh night unless they found some sort of shelter. As luck would have it the company of four stumbled across an empty Scottish cottage known as a Sheiling. They quickly made themselves at home and went about warming themselves back up again. The hearth inside the Sheiling was still in working order so by nightfall the group of four had managed to set a roaring fire to warm their bones. Once warm the group decided on entertaining themselves to get through the remainder of the night. One of the members had a great singing voice and stood up to demonstrate his skills. The remainder of the group rose to their feet and started to dance to this talented vocals in the middle of the room. After a few minutes one of the men speaks out about how nice it would be to have a few ladies present – make the whole night go a lot smoother (if you know what I mean!). A couple of minutes later the men turn towards the Sheiling door in astonishment as four beautiful yet pale young ladies enter. They each grab themselves a man and start to dance around the room with them. The men are all in their element – they feel like the luckiest guys in Scotland! They continue to dance around the room with the sultry ladies and get more and more merry by the minute. All of a sudden the facial expressions and the mannerisms of these strange female visitors change dramatically. The women start to shriek uncontrollably and dance themselves into a frenzy – they stop and suddenly attack the men! The singer of the group manages to step back from the scene and watches in horror as the women tear his companions to shreds. All of a sudden the women turn their attentions to him and he bolts for the door. He manages to get to the horses but does not have enough time to mount one. He positions himself between two of the horses and this somehow creates a barrier that the women creatures cannot pass. He remains stuck behind the two horses for the remainder of the night with the deadly female creatures circling him waiting for their chance to pounce. As soon as dawn broke across the mountains the women disappeared before his tired eyes. He quickly leaves the horses side and returns to the Sheiling to find his friends. He is confronted with a horrible sight – his companions all lie dead with agonizing looks on their faces. On closer inspection he realizes that each of the men has been completely drained of blood. The Baobhan Sith vampire is known to be afraid of iron for some sort of reason ( could be religious reasons! ). The one survivor that night was lucky enough to choose the horses to seek refuge between as they were all wearing iron horseshoes.